If you want to add your name to our list of proud graduates, sign up for one of our Correspondence Courses and take your first step to success. If you have completed a screenplay (or a play/novel) let us read your script and give you advice on how to take the next step towards fulfilling your dream. It always rewarding to see words turned into action after years of dedication, passion and discipline celebrating the art of storytelling and the craft of writing. Another proud graduate of The Writing Studio, director-writer-producer Uga Carlini, changed lives in a profound way with the poignant documentary Alison, which won the Best Documentary at the Asia Pacific International Film Festival, after selling out at the Encounters International Film Festival, and wowing crowds at its international premiere at Dances with Films Festival in Los Angeles. Jasyn Howes wrote, directed and produced the experimental short film A, Deadman. A short film about a wounded man lost in a desert landscape. It will be screened from February 2016. Watch this space. Shortly before Jans Rautenbach’s death in 2017, an exclusive Masterclass with Rautenbach and music maker Riku Lätti took place at The Artscape Resource Centre 0n 22 November, 2015. Veteran filmmaker Jans Rautenbach and composer Riku Lätti, who collaborated artistically on the masterful South African film Abraham. Daniel Dercksen’s latest play The Beauty of Incomplete Things enjoyed its world premiere in 2014 Written, produced, designed and directed by Daniel Dercksen, The Beauty of Incomplete Things went through a miraculous 15-years transformation and development process. It was inspired by Dercksen’s play Yes, Masseur that was staged successfully at David and Renaye Kramer’s Dock Road Theatre at the Waterfront in 1995 (now demolished, where the food market at the Red Shed is situated). Mutating into its final draft after countless rewrites, as well as six reading with actors throughout South Africa that helped shape its future, The Beauty of Incomplete Things enjoyed its world premiere in Cape Town on January 24, 2014, and had a successful run at the Joburg Theatre in July 2014. 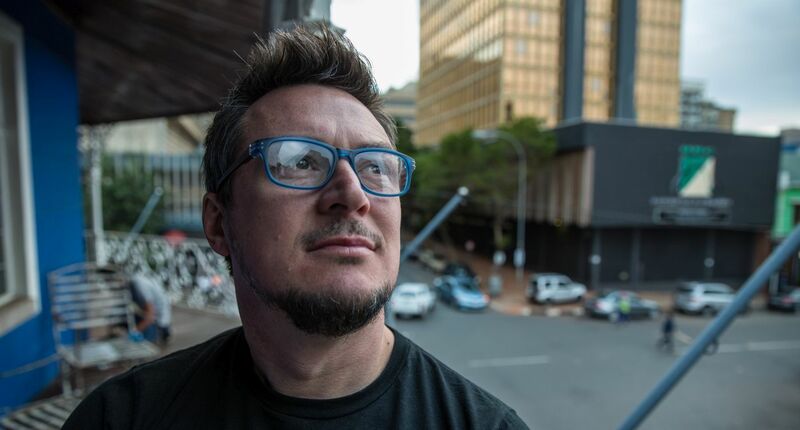 Producer, screenwriter and filmmaker Sallas de Jager , a proud graduate of The Writing Studio’s filmmaking and screenwriting workshop in 2006/2006, is born raconteur and has been telling stories through music as a member of the famous Afrikaans group, Klopjag, since 2002. He is not only a magician with lyrics and music, but he has also established himself as a competent writer, director and producer and screenwriter of more than 13 music videos, theatre productions and full feature films, including Roepman, Verraaiers, Musiek vir die agtergrond and Stuur Groete aan Mannetjies Roux.Sallas was also the producer and scriptwriter of the celebrated Boer War film, Verraaiers and with two films that are due for release in 2013, as well as two scripts that are currently in development, it is obvious that a bright future lies ahead for this storyteller of note. In 2011 the NFVF appointed him as one of nine young writers to partake in the Spark workshops in Cape Town in 2010 and due to the success of his involvement, he was further selected as one of four writers to continue with the Sediba Masters program in 2011. Writer, facilitator and self-publisher Gary Hirson changes the world > A graduate of The Writing Studio’s workshop in 2007, Gary Hirson has just launched his 3rd developmental interactive book for the youth – The Journey that’s Ours, marking his 4th book in total. One being a photographic coffee-table book – Down The Line. “My goal is to inspire the youth into understanding and believing in themselves, and that their goals and dreams are worth pursuing. This I do by the way of my books, talks at schools and goal-setting workshops which I facilitate. I also believe that one must have the courage of their convictions which has resulted in all of my books being independently published. (After my publisher went out of business) This has been done using the self- development tools which I write about. Teaming up with PANSA >A significant force of creativity and innovative opportunities celebrated the art of storytelling and the craft of writing with The Writing Studio and the Performing Arts Network of South Africa (PANSA) teaming up to present workshops, story and play readings at the studio in Woodstock, Cape Town. The first workshop ‘The Drama of Writing a Play’, took 15 writers through the steps of writing a play and culminated in a successful performance of scenes from their work during the last session. Filmmaker John Barker > Writer-director Johan Barker, a graduate of The Writing Studio, released his film 31 Million Reasons. This is the fictionalised story about local detective Ronnie, who has illusions of being above the criminal class and desperately wants to clean up his act. Ronnie is given the opportunity to go legit by a security guard… but only by orchestrating the biggest cash heist in South African history. Success for Consuelo Roland > Consuelo Roland, a graduate of The Writing Studio, received acclaim for her Lady Limbo Novel, and was Shortlisted for the Sunday Times Fiction Award and received an Honorary mention for the Olive Schreiner Prize for her novel The Good Cemetery Guide. 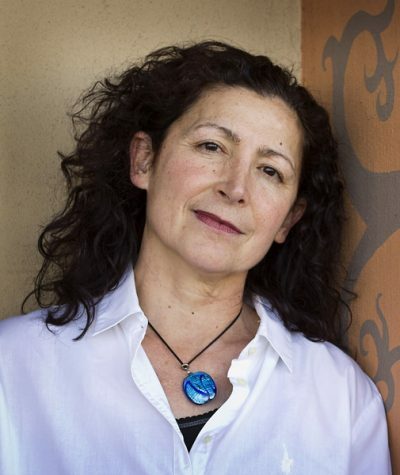 Adventure of Supermama > Producer-screenwriter-director and esteemed journalist Karen van Schalkwyk attended The Writing Studio’s writer’s workshop close on 10 years ago. She was so inspired by the workshop that she wrote her first screenplay, Ren in 2003. Karen then applied to The Binger Film Institute with the screenplay and was selected to be one of writers for a five month screenwriting course in Amsterdam in 2004. In 2006 she wrote her short film: The Adventures of Supermama which was distributed in cinemas nationwide by Ster Kinekor Distribution. In 2007 her partners, Damon Berry and Ben Tjibe under their company Googelplex Productions, further developed the screenplay with the National Film and Video Foundation (NFVF) on their Spark and Sediba Writer’s programmes in 2009/2010. In July 2011 the Supermama was selected as three South African projects to attend IFP-No Boarders in New York (one of the biggest independent film markets in the world) in September where she will pitch the film to a variety of investors, distributors and sales agents. The Adventures of Supermama will go into production in 2012. Ren is still a work in progress but will be produced as a film. Karen has worked on numerous projects and continues to hone her craft as a writer/director. Ekhaya Multi Arts Centre > Following three years of workshops at at the Ekhaya Multi Arts Centre in Kwa Mashu as part of their annual Kwa Mashu Film Festival resulted in the graduates to form their own writing and film club, gathering a weekly basis to continue sharpening their craft. From Page to Screen in two action-packed days > (reviewed by Gill Gimberg, Cape Town, October 30/31. 2010) Those of us who write tend to spend our days (and nights) scribbling away busily in our cells. It can be lonely: there’s usually nobody around to bounce ideas off. And treating a dose of writer’s block without a handy ‘nurse’ is right down there below frying in hell on our lists of favourite pastimes. What we need – often – is an injection of focus, inspiration and shared creativity. And The Writing Studio’s workshop, From Page to Screen, is just the thing to get those words and images circulating again. Writing for a visual medium such as film or theatre is an art and, if you’re like me, you tend to overwrite because you’re more familiar with writing prose. That’s when you need a couple of actors, a first class director and a cameraman at your disposal, to bring those words to life and show you how it should be done. Tall order? It seems not, with Daniel Dercksen’s passion for film and theatre, training and facilitating skills, and the boundless generosity of four experienced directors and a hot-shot cameraman. We arrived on Saturday morning with sleeves rolled up and ready to work. And work we did. The first day was spent distilling the essence from our concepts. We went through the importance of choosing the right title, how to write a premise, how to bring characters to life, what exactly is meant by the theme of a script or screenplay and a lot more. In the evening, lightly armed with our draft top sheets, we went home to write our scenes. Big deal: a two to three-minute scene, with two characters. Should be easy enough. Well, it wasn’t, but somehow we all pitched up on Sunday morning at 10:00 – some more bleary-eyed than others – clutching our A4s and ready for the next hurdle. This turned out to be a pitch to the directors. The names were intimidating enough: Christopher Weare, Amy Jephta, Hennie van Greunen and Tara Louise Notcutt. I think we were all terrified, but they weren’t at all intimidating in the flesh and by 11:45 we were working with our directors and cameraman, Mark Chipps. By 12:30 the first film was being shot and by mid-afternoon the filming was finished. Now we just can’t wait to see the edited films. The workshop gave us all the opportunity to co-direct under expert guidance, act in each other’s films, watch a professional cameraman in action and learn, learn, learn. It was hard work, but the joy of seeing your own script come to life is worth every drop of sweat. Writing a script is a tough journey, but with the right guidance, the odd reality check and some unadulterated fun, the end could be in sight. The Write Characters > The Writing Studio introduced a new ‘The Write Characters’ workshop in Johannesburg. 10 writers were taken through the process of developing their premise, concepts and characters, and wrote a pivotal scene from their screenplay. The writers pitched their concepts to directors Bromley Cawood (Egoli, Susanna van Biljon), Henk Pretorius (Bakgat 1 & 2), Karen van Schalhwyk (Adventures of Supermama) and Christo Compion (Egoli, Susanna Van Biljon). 4 Concepts were selected and the directors put on the hat of teamleader, guiding the writers through the process of directing a scene from their screenplays (currently in development). The writers took on the role of directors and other witers in the group (and even teamleaders) doubled up as actors. The scenes were rehearsed and filmed during the afternoon. Director Stephen de Villers >Stephen de Villiers, who attended The Writing Studio’s Master Class for Screenwriters for the Talent Campus at the Sithengi Film and TV Market in Cape Town in November 2006, as well as a Workshop For Scriptwriters that took place in Durban in December 2007, completed his studies in directing at the AFTRS in Sydney. Three Cigarettes enjoyed its premiere at this year’s Durban International Film in 2008. 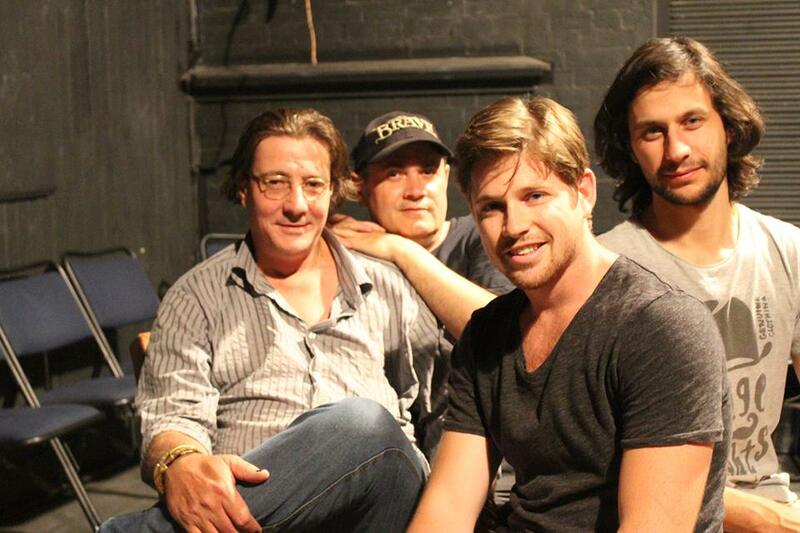 In 2012 Stephen was selected to direct Durban screenwriter Janet van Eeden’s A Shot In The Dark, which starts filming in August 2012. Workshops at Kwa Mashu Film Festival > During a week of intense writing and creativity at the Kwa Mashu Film Festival in KwaZulu Natal, The Writing Studio took a group of learners through their paces of writing a screenplay for feature film and ended up with three short scripts that are now ready for development. Screenplay optioned for Hollywood > Prolific Cape Town scriptwriter, Dennis Venter, who attended one of The Writing Studio’s first workshops for scriptwriters, and writer of Home Affairs, Interrogation Room, Stokvel, Madam & Eve, has optioned his screenplay The Fubars to Hollywood-based Original Content Productions. The Fubars will mark the directorial debut of Nick Powell, who started his career as a stunt director and later move to second unit director (Braveheart, The Bourne Identity, The Last Samurai, Cinderella Man, The Hours, Magdelene Sisters). The film title is the name of a band turned bank robbers. It stands for ‘fucked up beyond all recognition’. In this dark comedy, the band’s name becomes all too real when they decide on robbery to fund their careers. Original Content’s Jim Thompson, producer of the upcoming Diamonds in the Rough and War starring Jet Li and Jeremy Statham, describes the thriller/black-comedy script as twisted, funny and original. Venter is a published author and his career as a television writer was launched on the Penguin sitcom SOS. He has been involved as a writer on Going Up, Stokvel, Madam & Eve, Charlie Jade, Brothers in Law, Shooting Stars, Interrogation Room, Divers Down, Kululeka, Fela’s TV, Home Affairs. New play tours to London > Alistair Moulton Black, who attended one of our workshops for scriptwriters, co-wrote the play Sylvia’s Ball with Oliver Stephens. Sylvia’s Ball is a tribute to actor Alistair’s mother, Sylvia, who made a miraculous recovery from terminal bowel cancer by combining alternative and western forms of healing. The play captures her journey using mobile phones and pointed questions creating a 15 minute documentary traversing and weaving through a story connected to us all. Sylvia’s Ball previewed at The Universal Hall, Findhorn Scotland in November of 2006. It has since toured to London, performed at the Landor Theatre, Clapham North, to Buxton Opera house and the ‘paupers pit’ and then again at the 2007 Grahamstown National Arts Festival and at the Obz Café Theatre. Sylvia’s Ball is a refreshing mix of high energy physical theatre and evocative documentary. This is storytelling that will leave you questioning what it means to live on a planet suffering from environmental cancer. Masterclass at Talent Campus at Sithengi Film and TV Market > Daniel Dercksen was invited to present a Masterclass for the Talent Campus at the Sithengi Film and TV Market in Cape Town in November 2006, and facilitated a ‘Directing Actors’ workshop with acclaimed actor Eriq Ebouaney. In December 2006 he was invited to present a second week long workshop at the Ekhaya Multi Arts Centre in Kwa Mashu as part of their annual Kwa Mashu Film Festival. Afrikaans short film script a winner at Moondance Festival > Liezel van der Merwe’s short film ‘Vis’ is one of the winners in the Moondance 2006 Festival. Liezel attended our scriptwriting and directing workshops, and developed the script through The Write Agency. Workshops at Kwa Mashu Film Festival > Daniel Dercksen took 20 writers in rural KwaMashu in KwaZulu Natal through the paces of being a scriptwriter. At the end of the week the group completed the first drafts of nine short films that are currently being evaluated for future development. Screenplay for Moondance Festival > One of the scripts that was developed through The Writing Studio with blood, sweat and tears during a period of three years, ‘Phumzile’s Beads’, was a finalist in the renowned Moondance Film Festival – the epical screenplay of , written by Marian Shinn, is now being read by producers in New York and Germany. “Without guidance from The Writing Studio on the structure of the story and the discussion of ideas it is unlikely that my script would have got as far as it did…”, says Marian Shinn.